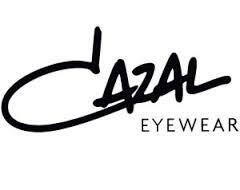 Product information "Cazal Model 4163 Color 004"
The CAZAL 4163 model is the amazing result of a harmonious ladies' model made of the finest material. With elegant colours, Cari Zalloni gave the feminine silhouette of his glasses a special refinement. Related links to "Cazal Model 4163 Color 004"
Our comment on "Cazal Model 4163 Color 004"